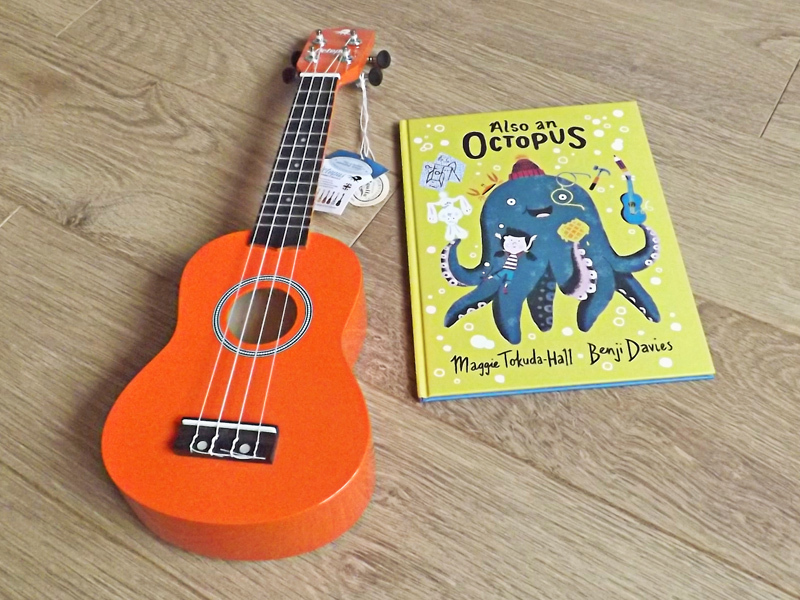 Octopus Ukuleles and Walker publishing have got together to offer a fantastic prize. You could win and Octopus Ukulele and a copy of the rather brilliant children’s book Also An Octopus! Also An Octopus starts with a ukulele playing octopus but develops into so much more and encourages children to create their own stories. It’s a great book that I have read to my youngest son Max (5) who absolutely loved it. What could be more fitting then, than giving away a copy of the book with an Octopus soprano ukulele? I personally own an Octopus soprano and think it’s a great instrument for beginners to learn on. The competition is open to UK residents only (sorry people, but keep your eyes out for another competition open to the rest of the world really soon) and can be entered via the Ukulele Go Facebook page. Competition closes on 31st January. *For those that don’t have Facebook accounts you can enter by email here. Competition ends midnight on 31 January 2017. To be in with a chance of winning you must have liked and commented on this post or entered via email (link above). The winner will be selected with 7 days of the closing date and announced on the Ukulele Go Facebook page. The winner decision is final. The prize is not transferrable and does not have an alternative cash value. Facebook is in no way affiliated with or involved in this competition. The winner will be contacted by via Facebook and/or email. If there is no response within 48 hours a new winner will be selected. Duplicate and offensive entries will be rejected. The prize will be sent to the winner direct. Ukulele Go is not responsible for problems with delivery.